Founded in 1969 by Douglas W. Baker, Sr. A sole proprietor, he specialized in the sale and promotion of fish and seafood to the Midwest marketplace. As a third generation broadline Sales and Marketing Agency, Baker Sales Company is dedicated to the marketing and sale of quality products to the Food Service Industry. Professional, detail, and service-oriented, our intent is to establish each of our vendors as a premier supplier to the key operators and distributors in our market. 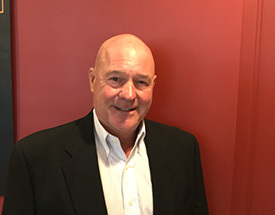 Since Douglas Baker, Sr. made his first contact as a broker in 1969, we have become recognized all over Minnesota, North Dakota, and South Dakota as the leading marketer of fresh and frozen food products to the institutional, retail, and deli trades. There is no substitute for that kind of experience. 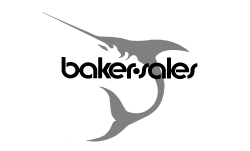 For more than a quarter century, Baker Sales Company has grown and prospered in the brokerage business, relying on a philosophy of honesty, integrity, and hard work. This philosophy is shared not only by the Baker family, but by each and every individual that joins our team. Our 6,000 square foot Minneapolis complex boasts a computer network that processes and tracks orders, while compiling up-to-the-minute sales data. And since nothing sells your product better than tasting firsthand, we offer a state-of-the-art test kitchen to prove the value and performance of your products.